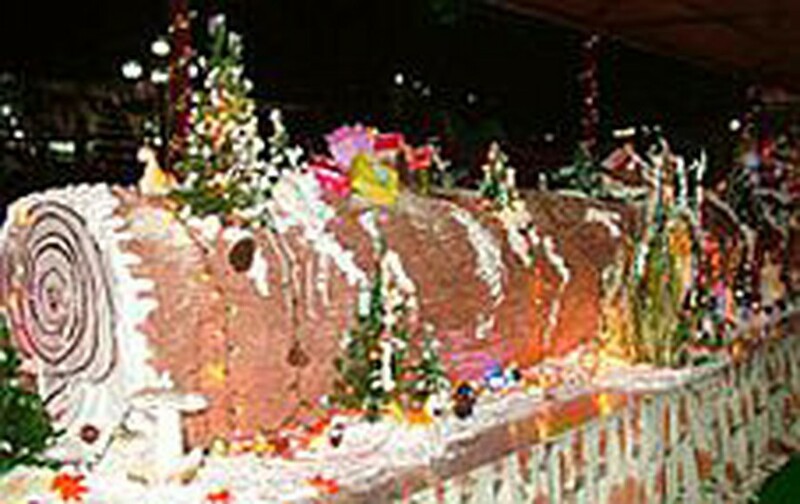 Dam Sen Park in Ho Chi Minh City and the Hy Lam Mon Bakery will make a colossal log cake for Christmas to break the record they set last year. Colossal it will be as the cake will weigh six tons and measure 22 meters in length and 1.1 meters across. To make it will require 610 kilograms of flour, 1,050 kilos of sugar, 310kg of vegetable oil, 120kg of milk, 40kg of butter and 60kg of jam. The cake will go on display in Dam Sen on December 24 and stay there for the festive season.